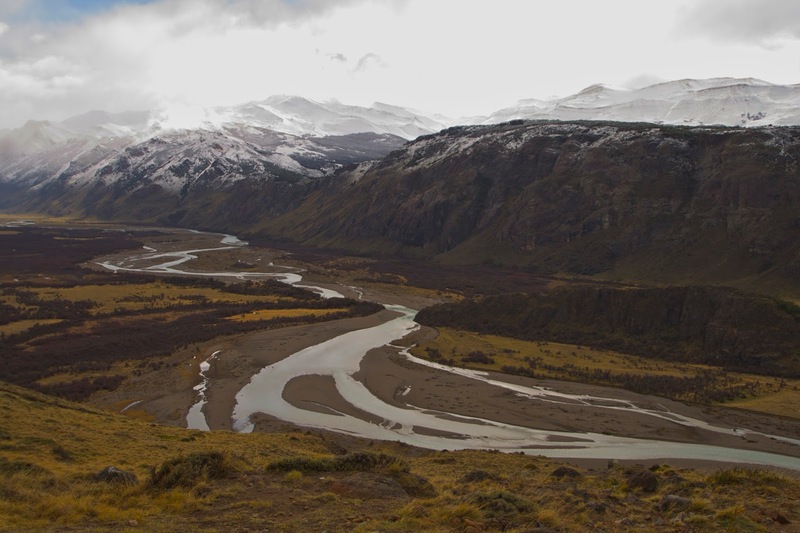 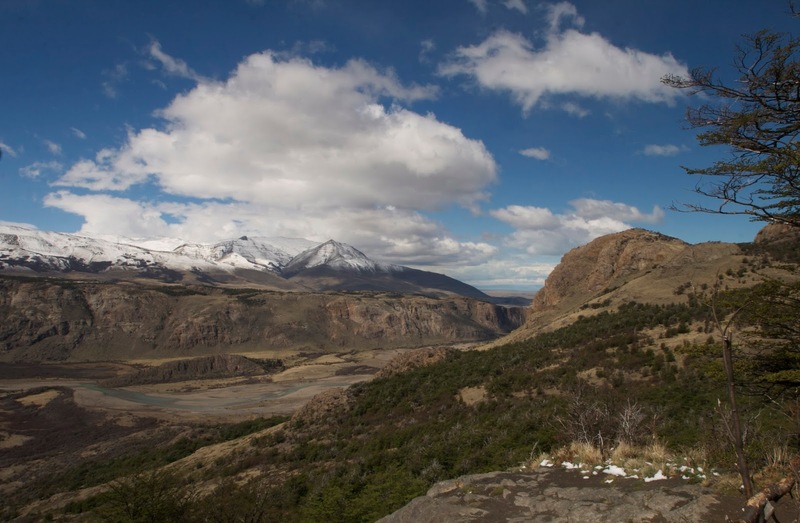 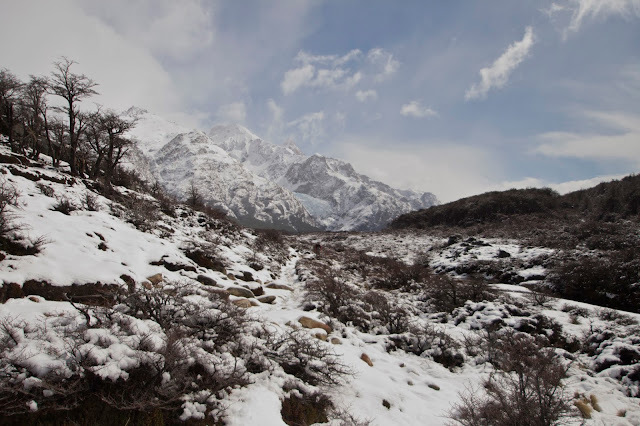 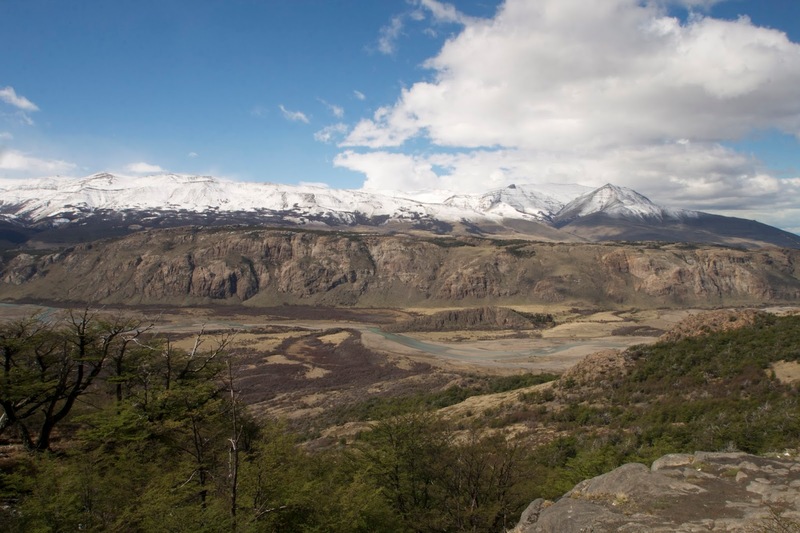 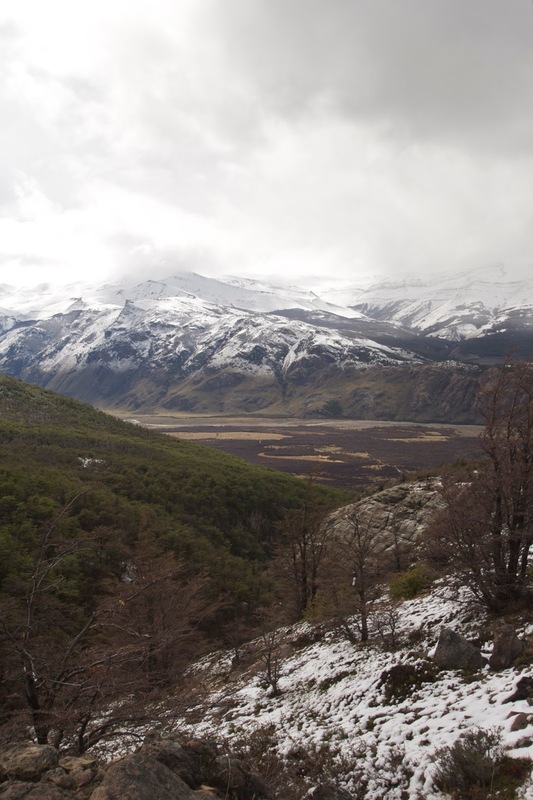 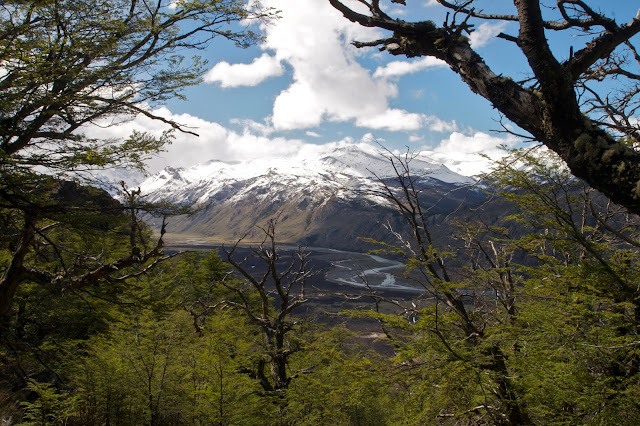 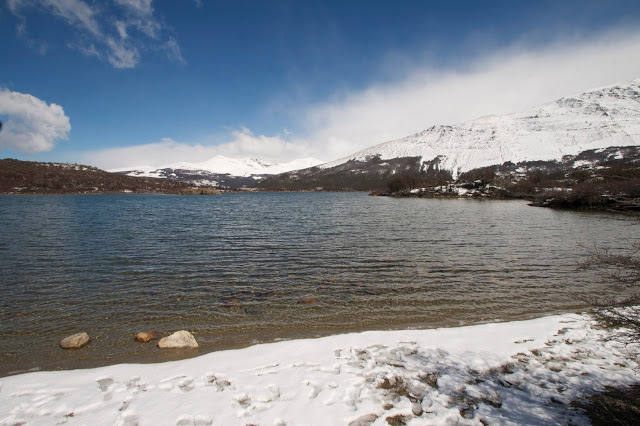 The mountains are a wonderful place to be, and the southern Andes are probably among my favorites. 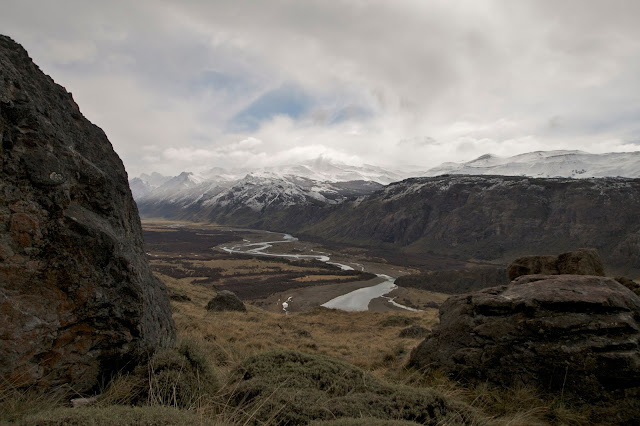 The atmosphere here was at once peaceful and wild; it's exhilarating and calming at the same time somehow. 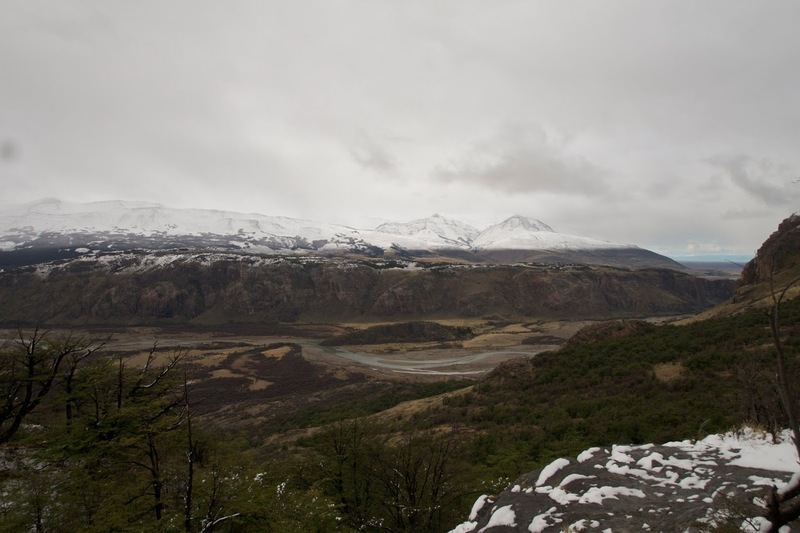 I loved being here. 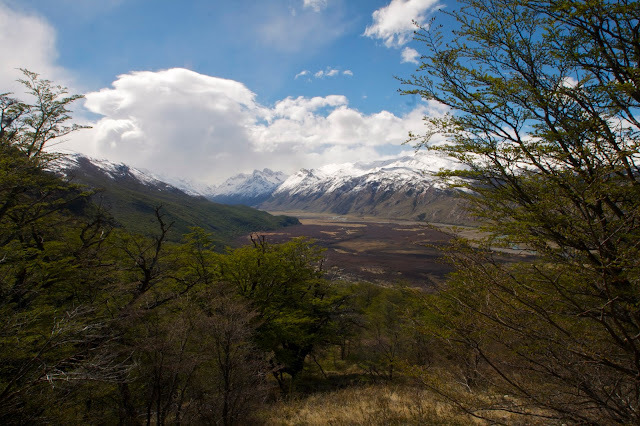 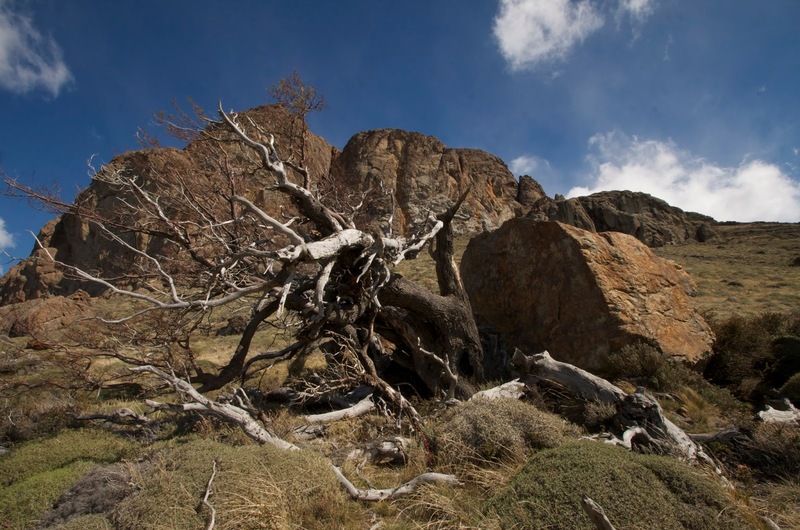 The hike had some challenging parts but was tremendously rewarding. 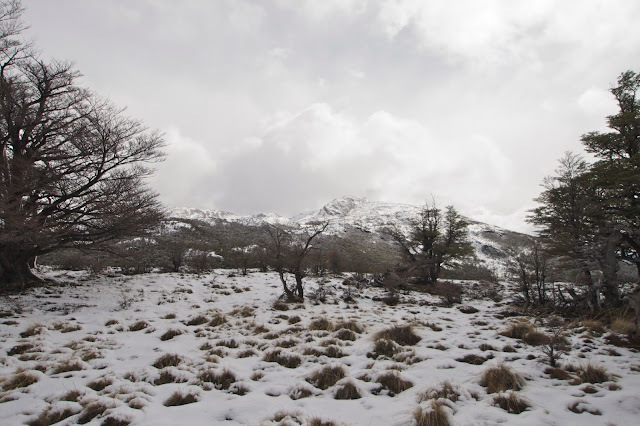 We did not have ideal weather but I'm grateful to have had such an amazing day in relatively good conditions. 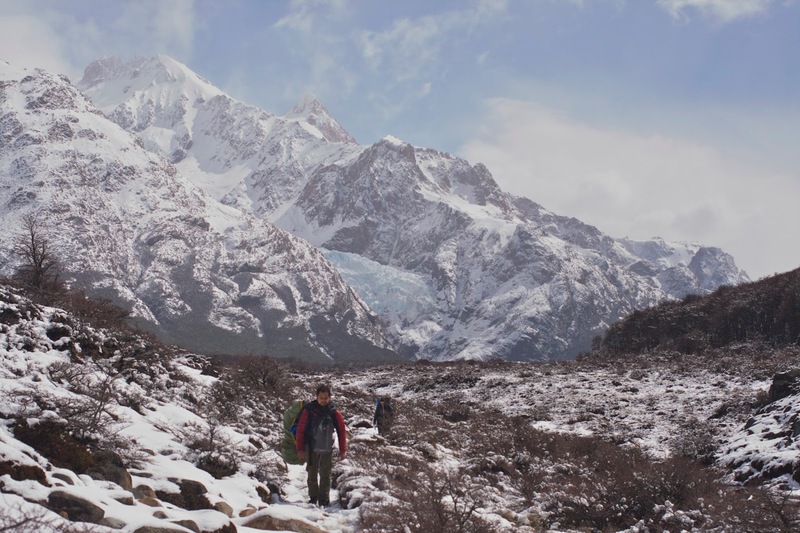 Above, you can see a massive glacier in the middle of the photo, above the hikers. 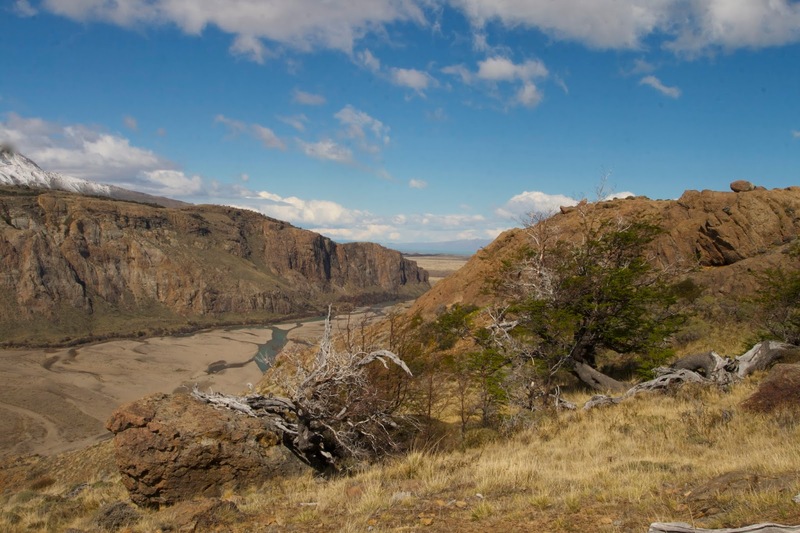 Below, a more expanded view of the area is shown. It was incredible. The weather was quite variable, but overall windy and cool. 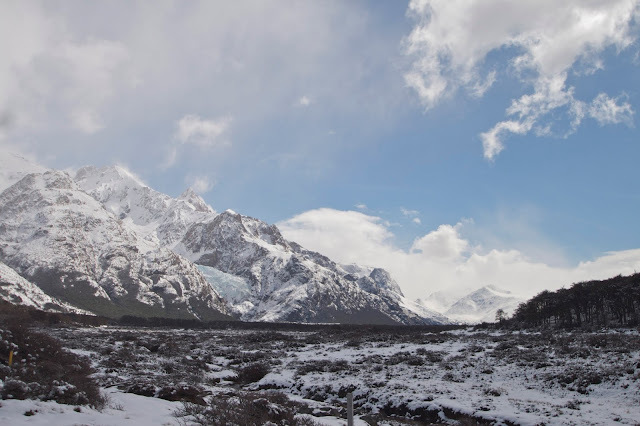 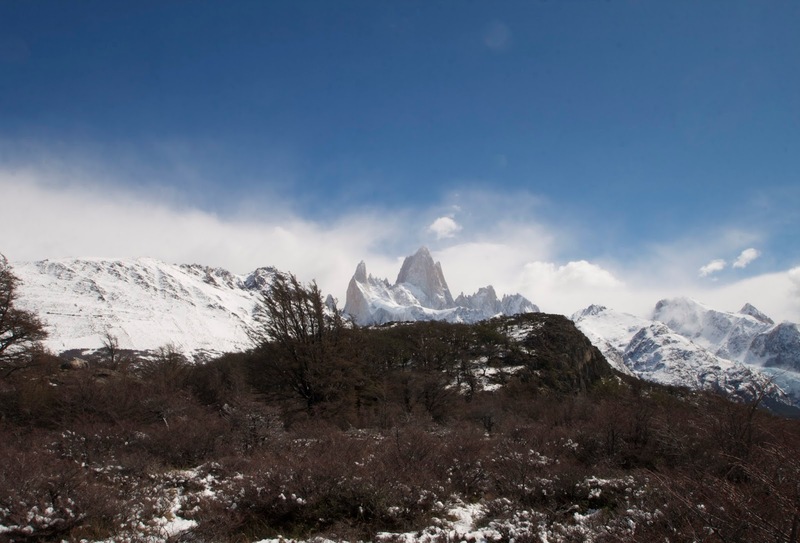 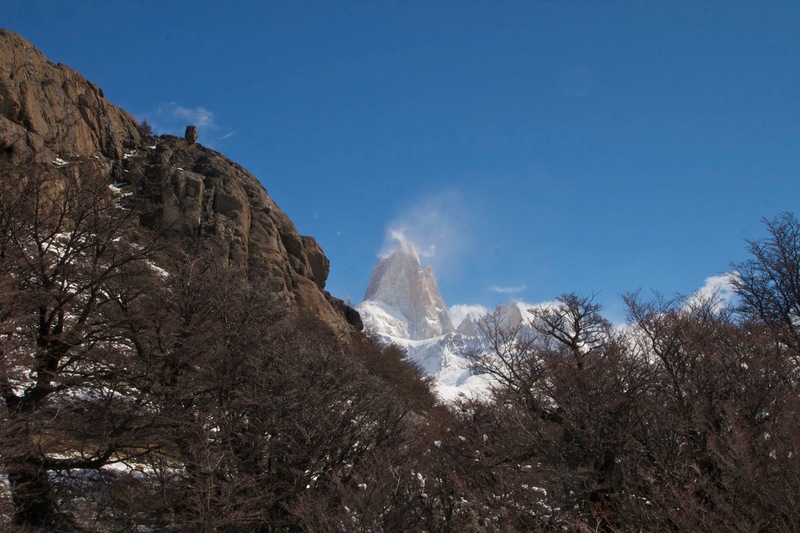 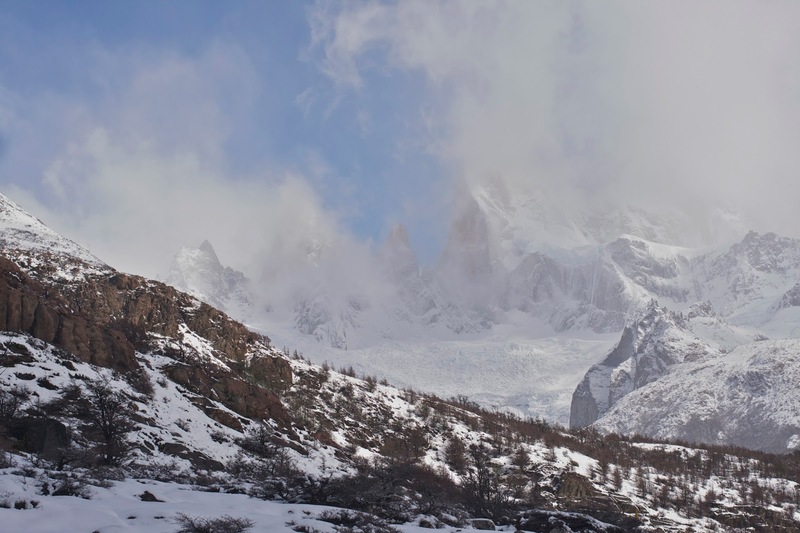 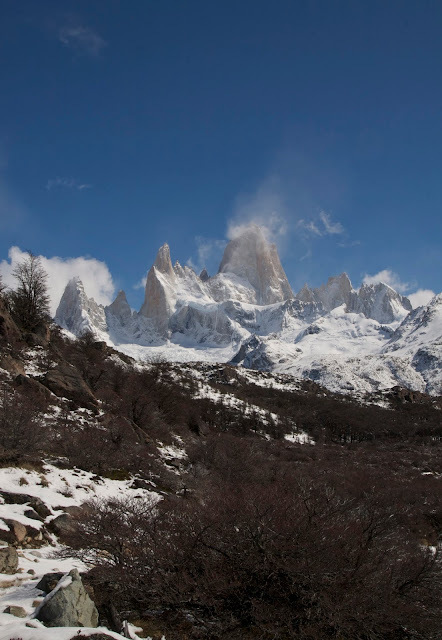 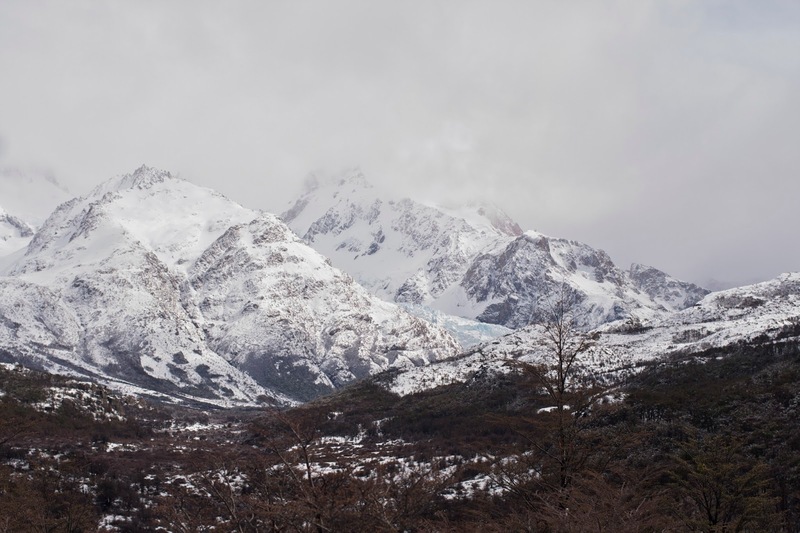 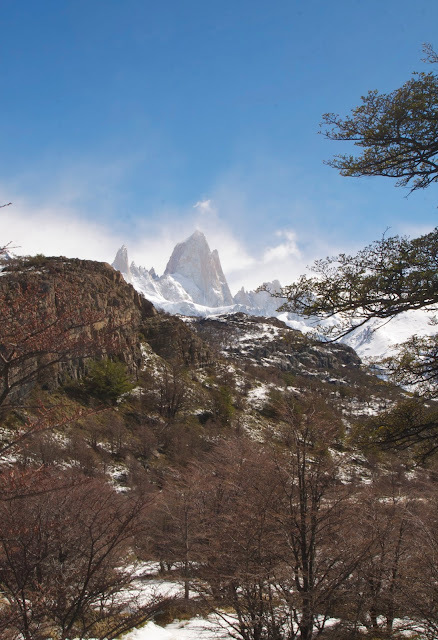 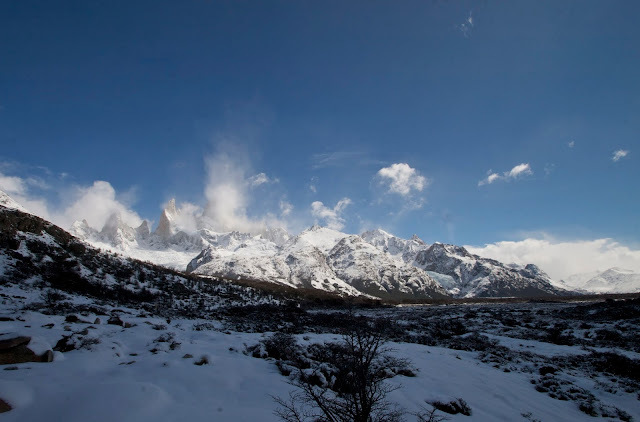 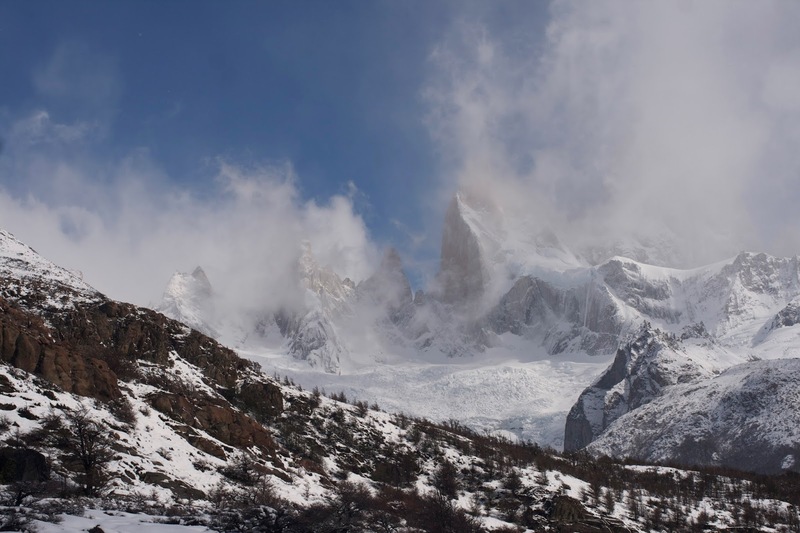 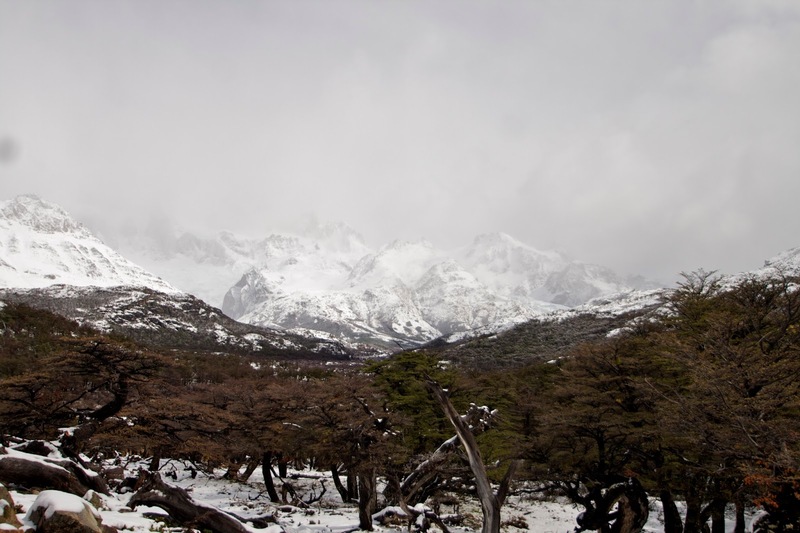 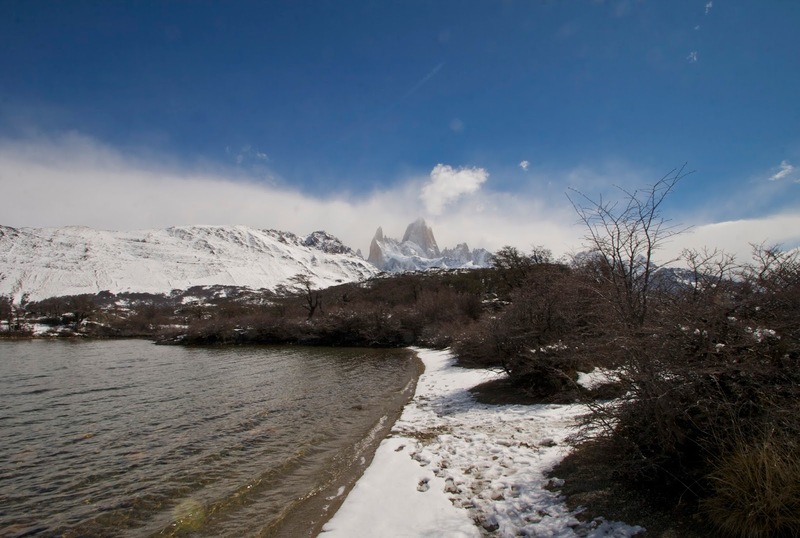 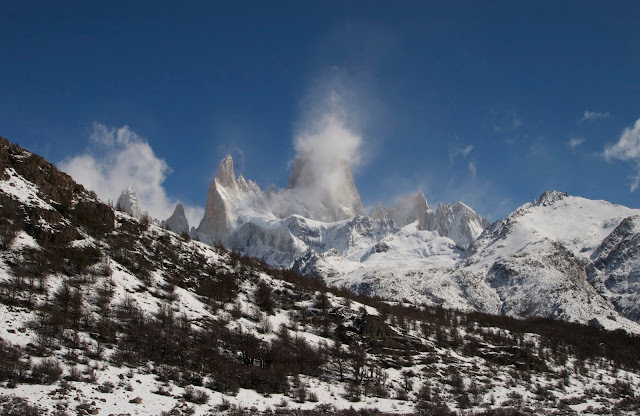 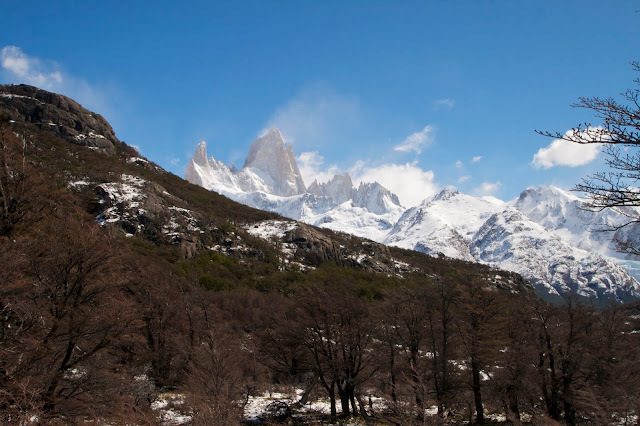 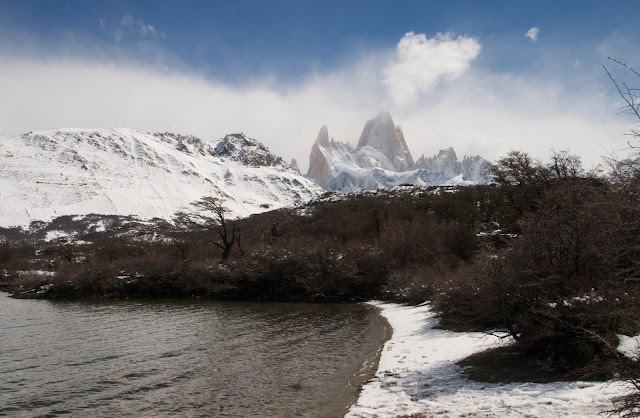 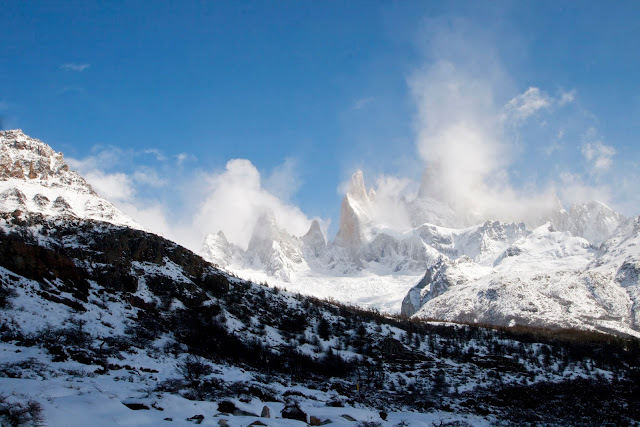 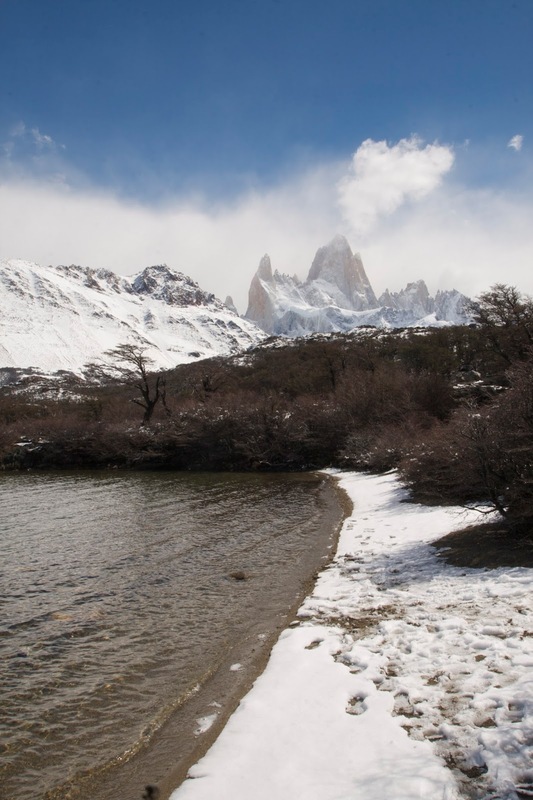 It got sunny enough for us to capture some great photos of the Fitz Roy peaks. After we got to a nice location for some photos, we decided to take the divergent path on our return and check out the glacial lake. 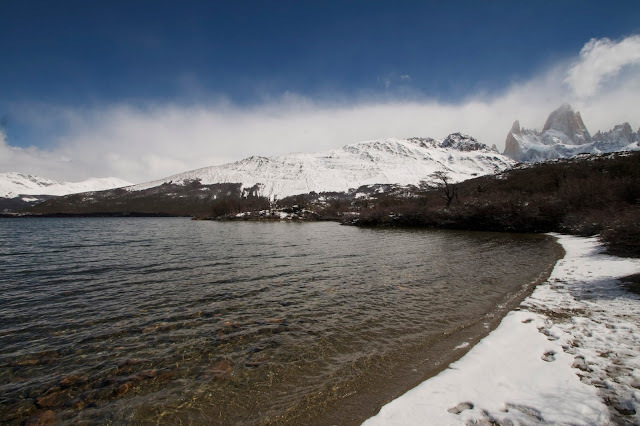 The water here is safe to drink, untreated. 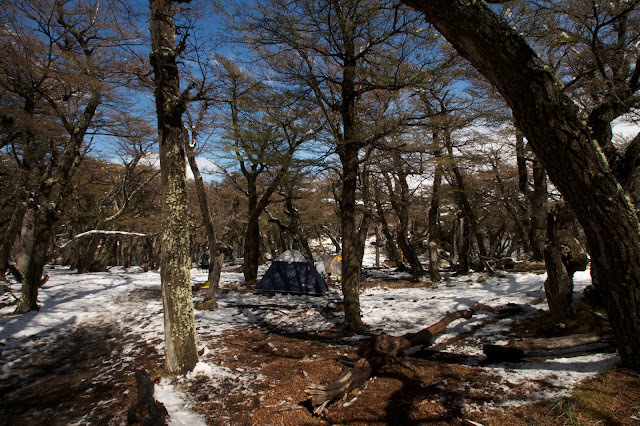 There is a small camping area here in the woods, and before long the view starts to open up again. It was a fabulous and unforgettable day, and I'd love to come back here. 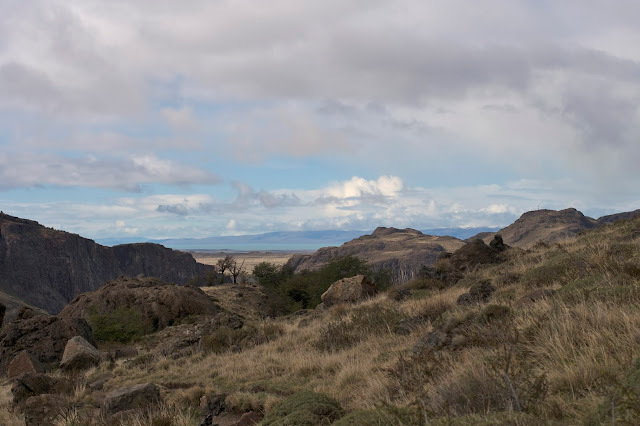 We were hungry. It was time for a treat. 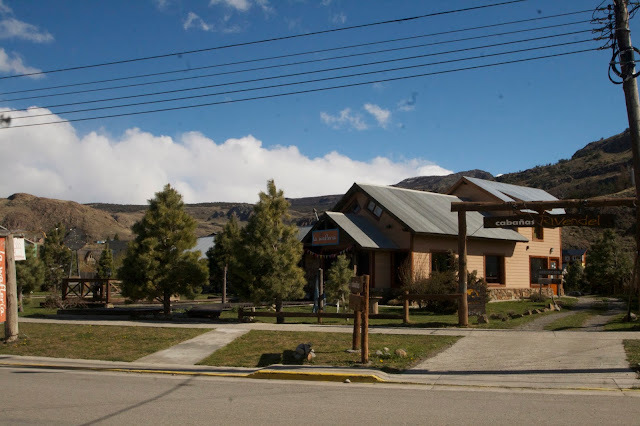 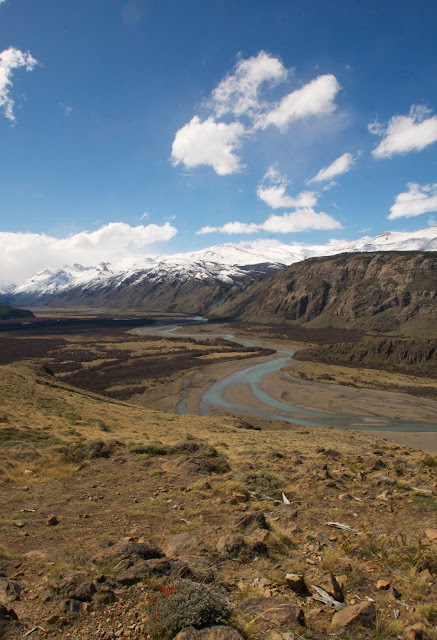 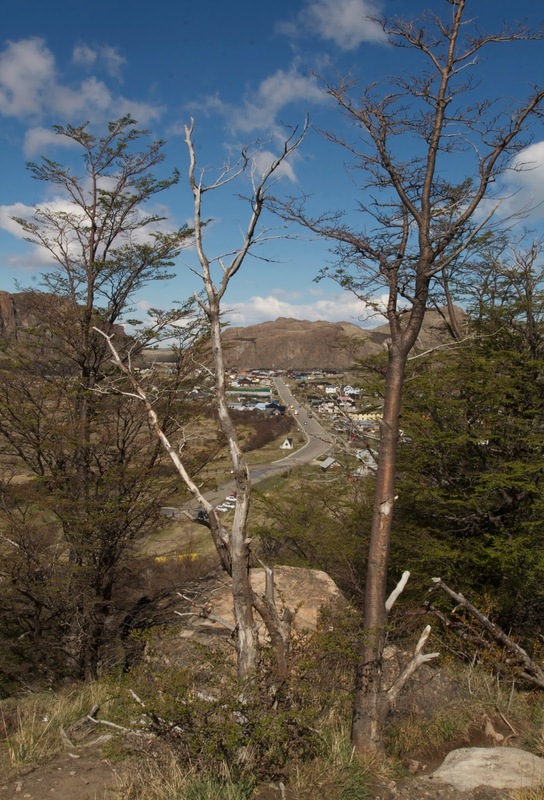 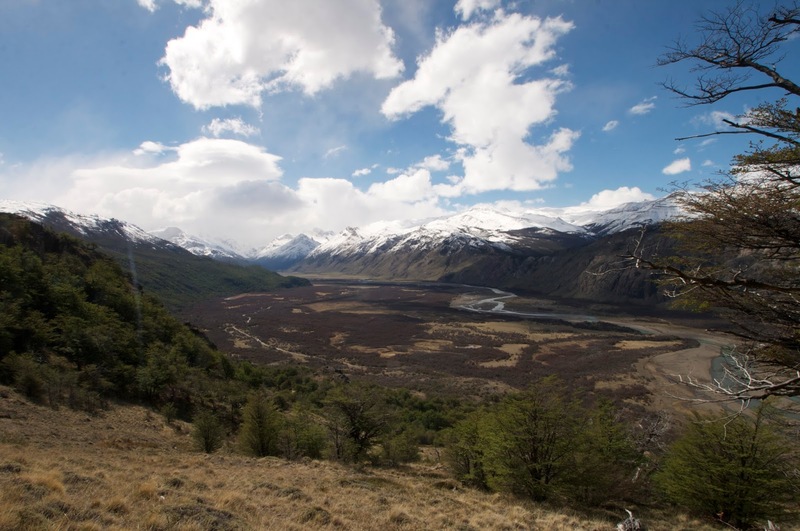 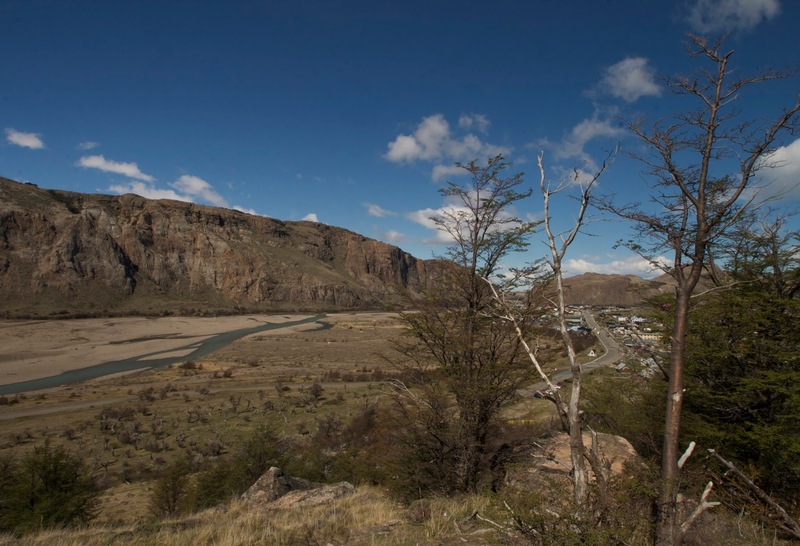 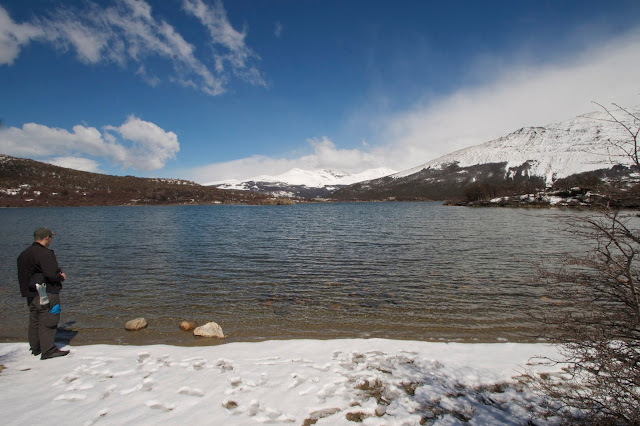 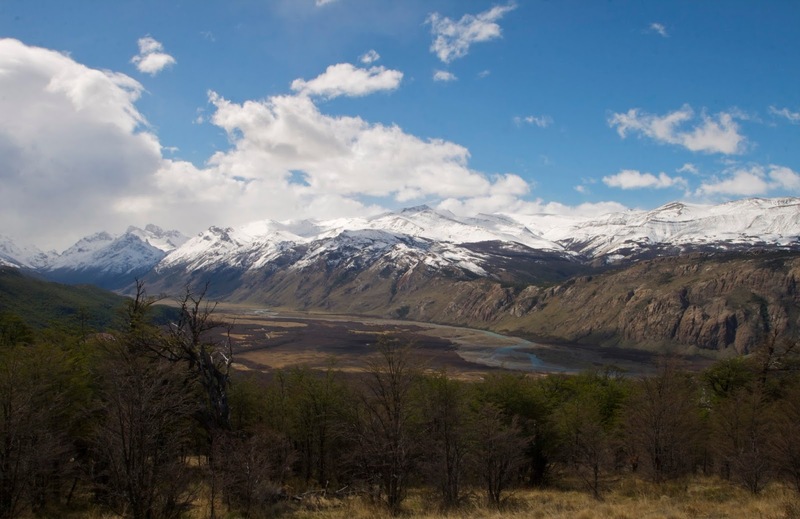 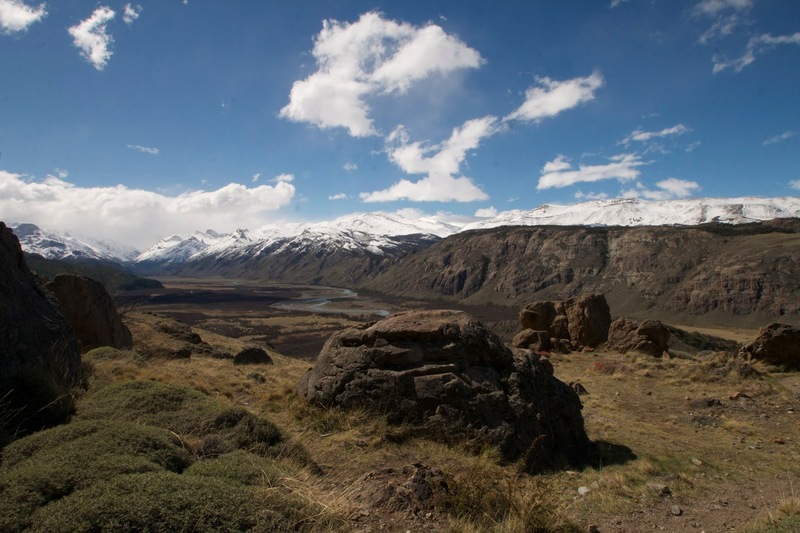 We stopped at the Wafleria (below) before starting the drive to El Calafate. I had to have some fresh food after days in transit - first by plane with so many airports, then by car with few food options. I had a salad. My husband dug in though, opting for a waffle with ice cream, chocolate sauce and pears. I had a few bites of that too. 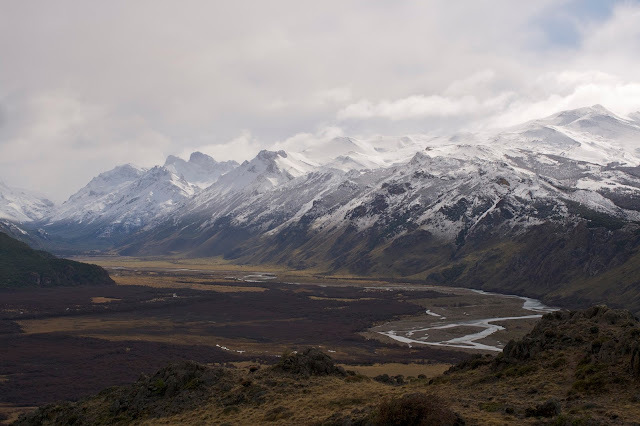 Pricey - likely due to the relatively remote location - but we both thought it was worth it. 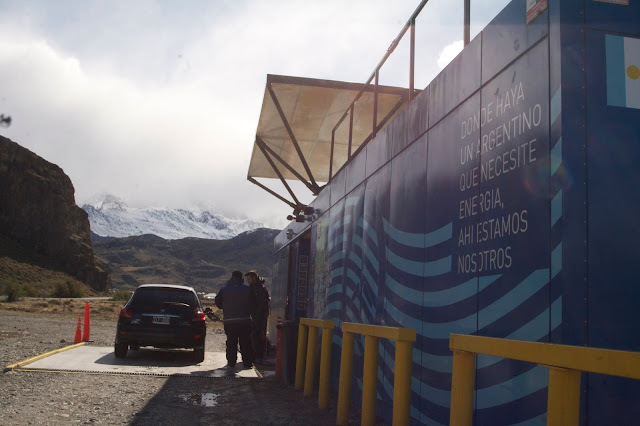 Our last stop, above, this tiny little gas station.